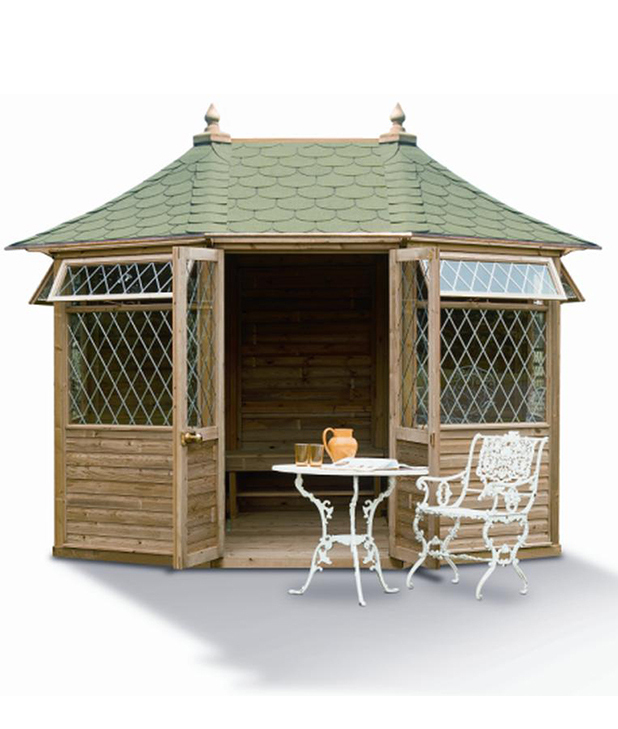 The Georgian Summerhouse Pavilion is a large octagonal summerhouse that is perfect for both entertaining and relaxing. The double doors enable easy access and the top opening windows allow you to keep cool during the summer months. 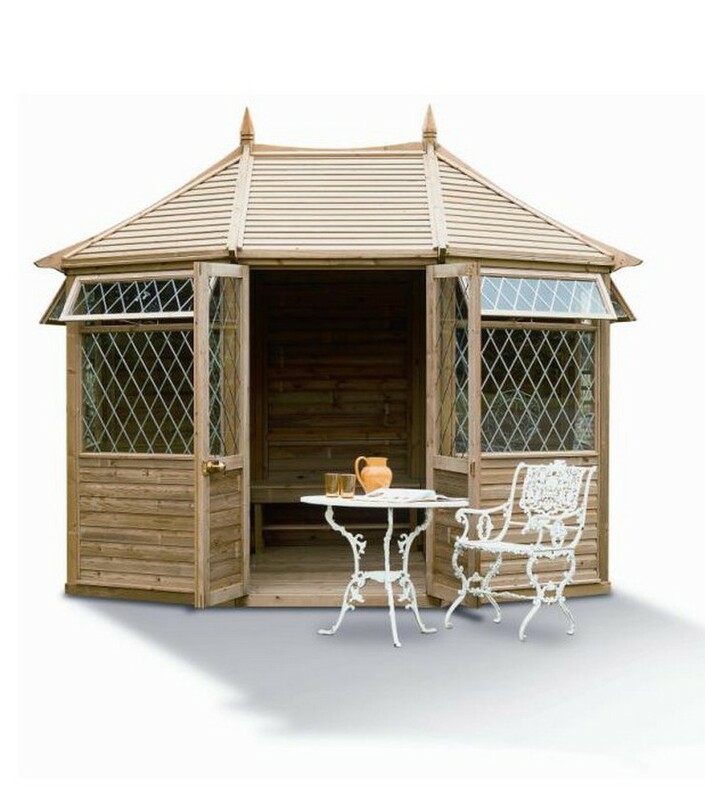 This wooden garden pavillion has been manufactured from FSC approved pressure treated Northern European Redwood. The doors and windows are fitted with diamond leaded 4mm toughened glass and Brass door furniture is included as standard. 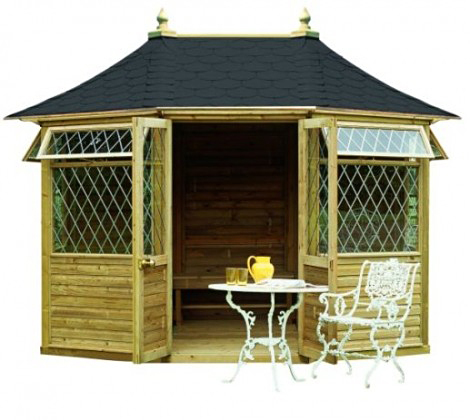 You can choose the colour of your Asphalt tiled roof opting for either green or black. The Georgian Pavillion is delivered flat pack with instructions for self assembly.